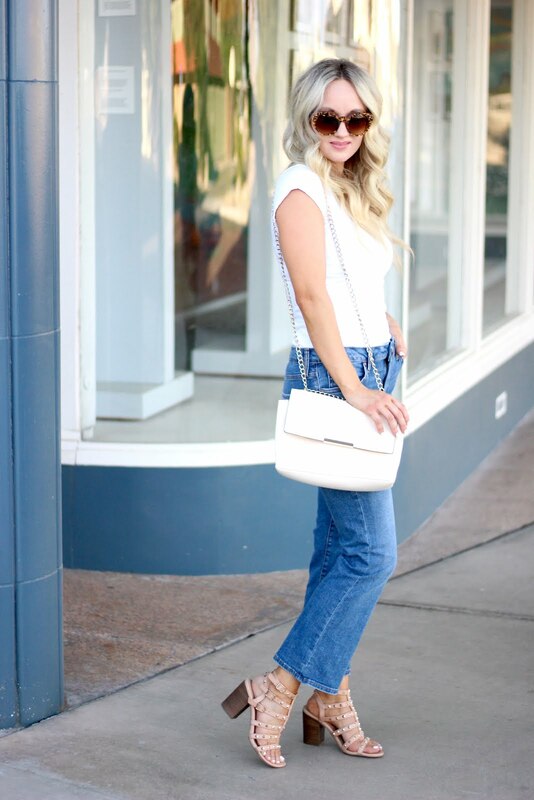 From the moment I saw these jeans I didn't even think twice, I just selected my size and added them to my cart! 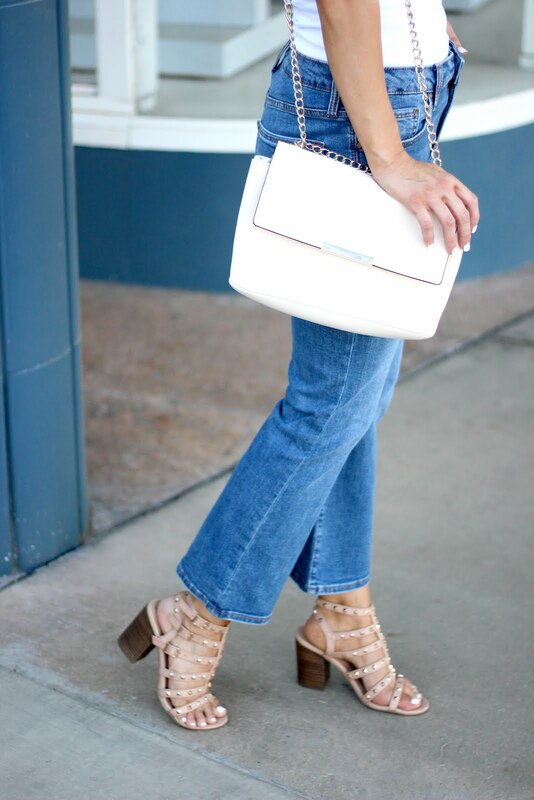 I'm obsessed with anything flare right now...jeans, sleeves, you name it. But, what I love most about these are the capri length. Making them perfect to pair with heels, sandals, and even booties. I am having flash backs to Austin Powers...especially since I just ordered a pair of all white booties! They also come in a lighter distressed version here and I think I need them! And they are only $30!! Please don't get sick of me since I will probably be wearing these a lot in the near future.